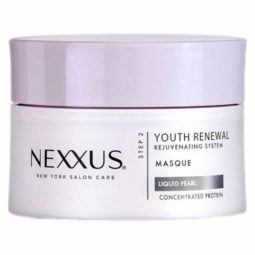 Every day, hair loses protein and this can cause its appearance and condition to suffer. 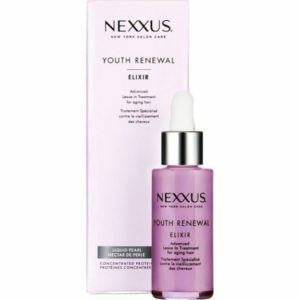 If you’re looking for a thinning hair treatment or hair repair serum that reduces breakage and helps revitalize fine hair, try Nexxus Youth Renewal Elixir. 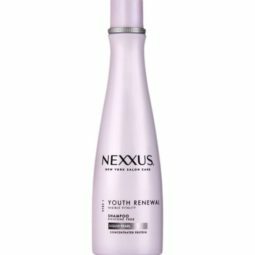 It uses a breakthrough formula to combat the eight visible signs of aging hair: volume reduction, loss of shine, dullness, unruliness, breakage, brittleness, roughness, and loss of colour vibrancy. This Nexxus serum, enriched with Liquid Pearl and Concentrated Elastin Protein, helps recapture hair’s natural buoyancy and visible vitality.